I had a dream last night that I visited a friend who had a spirit level I was looking for and she had this amazing wardrobe that was neat and tidy (you could actually see what was in there!). So when I woke up to our small walk in robe that is currently filled to the brim with clothes, and books and art work that we have no room for anywhere else in the house, it was the last straw. I set about cleaning out our wardrobe. There, in the very back was hanging a bridesmaid dress I wore for a friend’s wedding many many years ago. So i grabbed it out thinking “i’ve never worn it since, probably won’t wear it again, get rid of it”. But when I got it out, i thought “wow – this is tiny!”. Then I remembered the story. I had ordered the size 12 because that fit me at the time we purchased it. Then over the following months, I had lost almost 10kg. At the time, I had to have the dress taken in significantly which is why the dress was so tiny. The big realisation for me was that back at that time, I had people telling me I was skinny. That I didn’t need to loose anymore weight because I was looking good just as I was. But at the time, I couldn’t see how good I looked. I couldn’t see how skinny I actually was. There was always that “little bit more” to loose. And now, with the benefit of hindsight and armed with the skinny photo’s of myself back then (and 8kgs of that weight back on) I can finally see what everyone else could see – I can finally see how good I looked. It can be hard sometimes to see the lovely things that people tell you. But if you choose to look for the positive things they can see in you, then eventually you will find them and see them too. And once that happens, how you feel about yourself begins to change for the better then doors begin to open, opportunities appear and life becomes wonderful again. 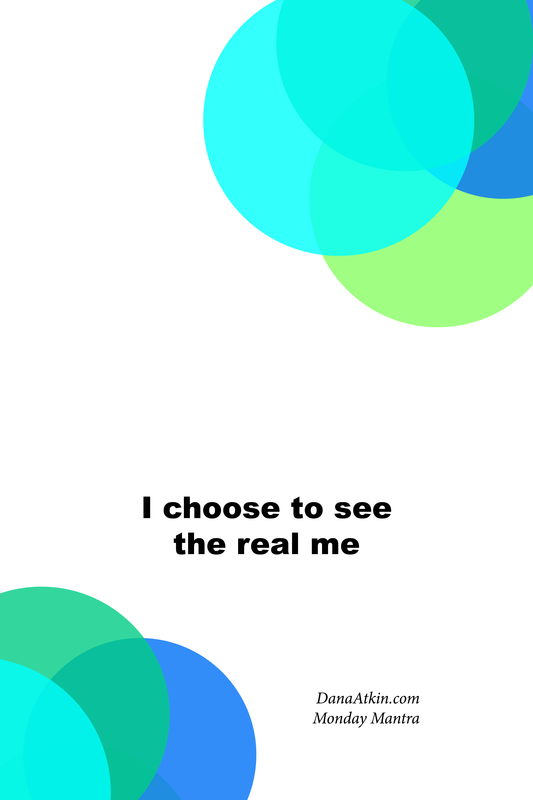 Today, choose to see the real you. The you that all your friends and family can see. The beauty, the smarts, the body, the light , the positive attributes. Because if they can see it, with a little practice, you can see it too. Once you can see it, you can believe it and then, the world is your oyster. ← What Is Your Immune System Trying to Tell You?